and work with creative visualization to use it effectively. Some of you may be familiar with Vision Boards or Dream Boards as valuable visualization tools. A Dream Incubator is that – and more – in fabulous 3D, conveniently inside a box! 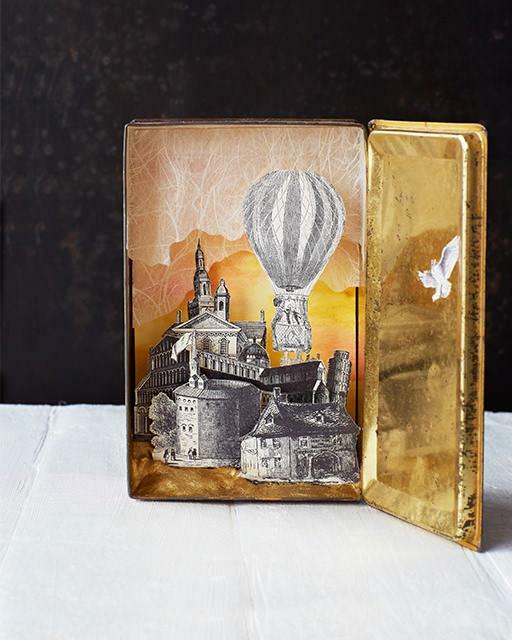 Drawing inspiration from shrines, paper art and shadow boxes you will create a magical personal world inside a box. (Cardboard boxes will be provided, bring a tin, little suitcase, wooden treasure box or cigar box if you prefer). When open the dream incubator becomes a physical focus for your hopes and dreams, a tangible representation of where you are going, a vision board/shrine, inspiring you to pay attention to your intentions and visualize your dreams into actions. When closed it will continue to incubate your highest visions, powered by the magic of positive imagination and laws of attraction. *Identify an intention for your Incubator – you may have a clear goal in mind, or a theme, or want to be open and allow inspiration to come through the objects and images you use. *Kick-start your creativity and have fun!